Are you looking into home health care in NYC for yourself or someone you love? Care 365 can provide all of the services you’re looking for with additional benefits and advantages other home health care agencies may not be able to provide- such as Medicaid application assistance, physician house visits, 24-48 hour follow up, and a dedicated hotline for customers. At Care 365, we employ full-time multi-lingual caregivers, allowing us to pair our clients with the right home health care NYC professionals who not only understand you but speak your language fluently. We know how important it is that our clients feel comfortable while being cared for by our staff, which is why we strive to provide personalized service to our clients. See our full list of languages spoken by Care 365 health care experts- including Thai, Hindi, Hebrew, Yiddish, Russian, Punjabi, and many more. Interested in the CDPAP Program? We can help determine whether you’re eligible for the Consumer Directed Personal Assistance Program. Patients who qualify may hire any home health care in NYC they’d like, including family members, a long-time family friend, or an aide they’ve worked with previously. You can download a request form from our website or speak with a Care 365 agent regarding the CDPAP program if you have further questions. We’re glad to help! As our name, Care 365, indicates, we’re here for you 365 days of the year, with no blackout dates when our professionals are unavailable to provide home health care. To get connected with a representative from our home health care in NYC, you’ll need a referral from a doctor, caregiver, neighbor, friend, or family member. If you’re not sure how to get started, simply give us a call, and we’ll reach out to your primary doctor to complete the referral process. If you’re like most of our clients who are recovering from an illness or injury, you prefer to be in your own home while receiving care. We can work with your referring physician to make sure you or your loved one’s condition is stable and improving while remaining in familiar surroundings when possible- because there’s truly no place like home. You can speak with a Care 365 caregiver right now just by calling us. Our dedicated hotline makes it easy to reach us any time of the day or night, 365 days a year. If you need advice or immediate answers to your questions, calling our toll-free number is the fastest way to connect with us. 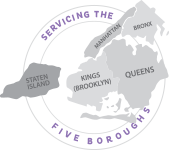 Call now to see why we are a leading provider of home health care in NYC.